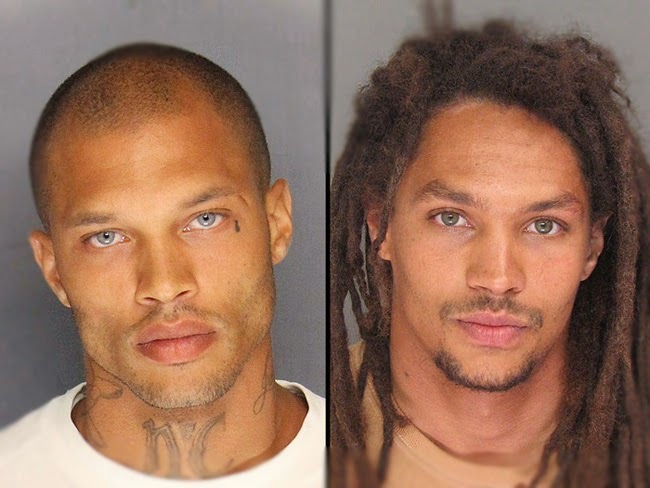 The newest hot mugshot guy comes brings out squeals of delight from the internet. This man, who allegedly hates Fox New, goes by the name of Sean Kory. This man is said to be 29 years of age and came from Sta. Cruz, California. As soon as his mugshot came out, it began circulated the web with a wave along with it. Kory was reportedly apprehended last Friday while the city’s annual parade was taking place. He is said to have attacked someone who wore costume as a Fox News reporter. Kory approached his victim while hurling insults at the giant news network, grabbing the microphone prop of the victim and rubbed it against his groin. He also assaulted the poor victim with an aluminum tennis racket continuously, saying that he hated Fox News. The victim managed to escape Kory’s sudden outburst with no serious injury and contacted the police who arrived to the scene and arrested the man. After the assailant was booked at the county jail, his mugshot was released and people began make comparisons of him and Jeremy Meeks. These people also started noting the features of the two men, pointing out their similarities and differences. Unlike Meeks, Kory has dreadlocks and his neck did not have elaborate tattoos. Although the circumstances behind Kory’s arrest were stranger than that of Meeks’, charges are yet to be filed and pressed against him. Some people even praised the man for taking down the Fox News fan in costume. Jeremy Meeks, 30 years old, was charged last June 18 with several complaints including street terrorism, resisting arrest and justice obstruction. Despite being a criminal, a gang member and an ex-convict, much like Kory, Meeks was immediately made an online sensation after his mugshot was released by the police. His good-looking characteristics earned him a horde of fans online. He was even given modelling offers by various agencies.